For dog owners moving to Chicago, it can be a bit tricky understanding all the subtle nuances of living in the city. 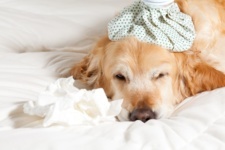 From extreme seasonal weather to the fees associated with dog ownership, it’s important to be aware of everything that goes into living in Chicago with a pet. Check out our tips on what you need to know when moving to Chicago with a dog, and make sure you and your pet are prepared! Chicago is known for its diverse cultural background and the pocket neighborhoods surrounding the downtown skyscrapers. From Ukrainian Village to Chinatown or The Loop compared to Wicker Park, it’s important for dog owners to take into consideration what neighborhood would best suit their lifestyle. 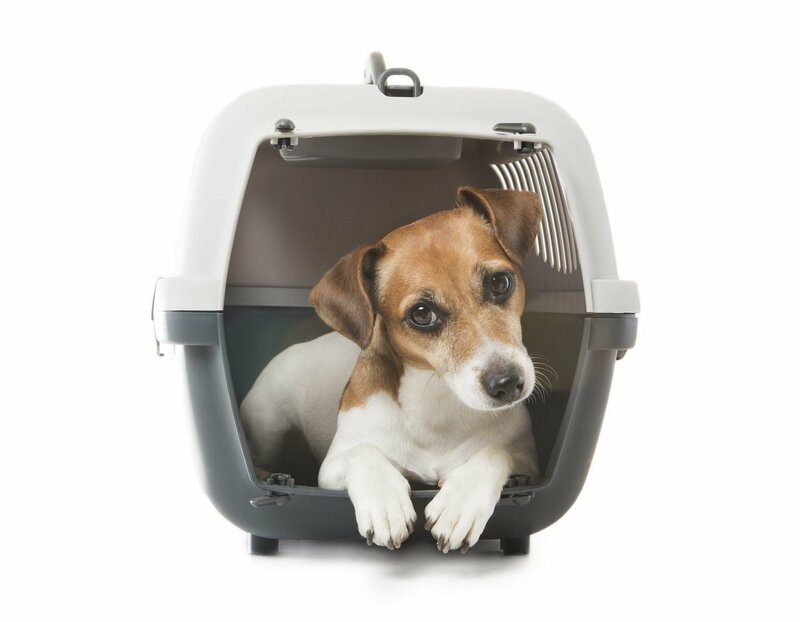 While a condo in the heart of the city might be great for smaller dogs, it might not be the best fit for larger dogs that need the space to run. Thinking about walking distance to nearby dog parks or neighborhoods with an abundance of dog-friendly venues can be something to consider when moving to Chicago. All dogs over 4 months of age are required to obtain a city dog license through the Office of the City Clerk. Dogs must be registered with the City of Chicago (per Municipal Code 07-12-140) with a current rabies vaccination. 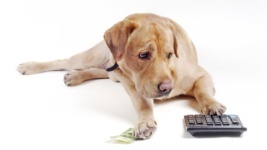 Sterilized dog licenses are $5, and unsterilized dog licenses are $50. Seniors get a discounted price of $2.50 for sterilized dogs, and $5 for unsterilized dogs. Licenses can be purchased online or in person at one of the City Clerk offices. Windy City Paws is one of Chicago’s most respected dog walkers. If you’re a working professional who can’t attend to your dog all day long, we’re here for you! 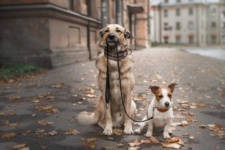 The leash laws in Chicago require dog owners to keep all non-service animals “under restraint” or lead when outside of their property, which includes many of the parks throughout the city. If you are lucky enough to find a home that offers a yard, keep in mind the law also states “It shall be unlawful for any owner to allow his or her animal to cross outside the property line of its owner to any extent, including reaching over or under a fence, or to keep or allow his or her animal to be outdoors on an unfenced portion of the owner’s property, unless the animal is leashed and under the control of its owner or another responsible person.” Off-leash play in the city is only allowed in the dog-friendly areas at designated Chicago Park District parks. Chicago Dog Parks are often referred to as dog-friendly areas. 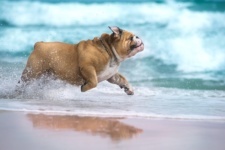 These areas are great for your dog to exercise and socialize, and even include two beaches set aside just for dogs. In order to use one of the city’s dog-friendly areas, you must purchase a specific permit and tag, separate from the general license. 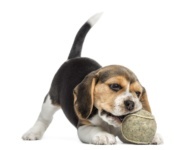 Permits are available for purchase at numerous participating veterinarians throughout the city for $5 per dog. The weather in Chicago can be a bit overwhelming for those new to the area. Since spring and fall seem to get overlooked due to the scorching summers and brutal winters, newcomers to Chicago should prepare their dogs for all the different seasons of the city. Purchasing items to protect paws from overheated asphalt during the summer and winter-related gear for the cold is an absolute must for dog owners new to Chicago. 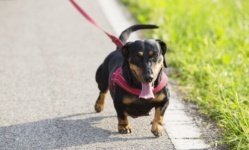 Learning your neighborhood and planning appropriate walks depending on the weather can also make a big difference in making sure your dog is happy and healthy. Chicagoans can be intensely protective of maintaining well-kept neighborhoods, and this is especially true for dog owners. While there are some dog parks that provide cleanup bags, it’s mostly the responsibility of the owner to clean up after their pets. Owners that fail to immediately clean up after their dog can be subject to a fine of up to $400, according to the City of Chicago Ordinance 7-12-420. Avoid fines but purchasing a small bag holder for your dog’s leash and keeping it stocked with bags.